Important: The clip connector shown in the image is not included in the print price. 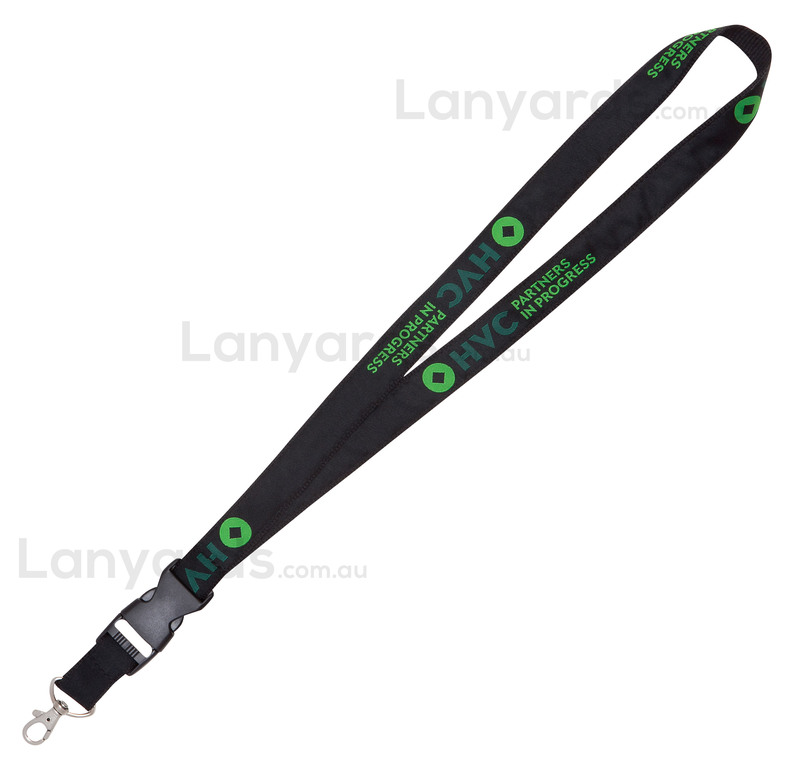 Executive lanyards with 25mm width are customised with fine embroidery detail. A 25mm wide polyester base has a 20mm wide satin ribbon top that has your logo and details woven into it. The satin ribbon is then stitched onto the polyester base for a truly executive look that would be perfect for any high fashio gala event or premium promotional evening. Six different free lanyard attachments are offered, but you can also add useful items such as a mobile phone holder or clip connectors. The satin ribbon allows for very fine details to be woven clearly, so there are almost no restrictions to the designs we can do.